Two weeks ago Kev and his dorm buddies Colin and Ben were celebrating Spring Break at some hotel somewhere at the beach, and they kept a five part video diary. Today Kev mailed me the fourth one. As of the last video Colin is leading the pack with a well deserved score of 8 points, and with 7 points Kev is tied for second place with another player. On a black screen the headline SPRING BREAK 2008 – DAY 4 appears. The camera is filming in night vision mode. Kev is standing in the hallway in front of a door. The night vision device makes his face look green and his eyes and teeth glow in a very unfavourable vampire-like way. His face is very close to the camera and he whispers: “Hi. It’s 2 a.m. and Ben is in the room and making out with a girl he met at a party tonight.” Kev grins. “She is a prize exhibit. I have no idea how he managed to get her…” He shakes his head with a smile and looks at his watch. “They’ve been in there for… let’s see… twenty minutes now…” He chuckles. “This is gonna be the height of the season…” Colin giggles from behind the camera. Kev grins at him and puts his index finger on his lips, then he signals theatrically that he is going into the room now and Colin is supposed to follow him. Last week Kev and his dorm buddies Colin and Ben were celebrating Spring Break somewhere at the beach, and they kept a video diary that they have divided into five parts, one for each day of their vacation. Today Kev mailed me the third one. On a black screen the headline SPRING BREAK 2008 – DAY 3 appears. The camera shows Colin inside the hotel room. He is tying a rope to the neck of a large plastic bottle that used to contain 2 l of Pepsi Cola, judging from the label. Now it’s filled with clear water. Colin grins at the camera. “We are planning a little surprise for Ben…” He climbs a chair and fastens the other end of the rope to some clamp in the ceiling, directly in front of the doorframe. He lets go of the bottle and it falls down, stopped mid-fall by the rope. But apparently the clamp in the ceiling isn’t strong enough – or the bottle is too heavy. Anyway, the clamp rips out of the ceiling and the bottle crashes to the ground. Today Kev mailed me the second one. On a black screen the headline SPRING BREAK 2008 – DAY 2 appears. Kev moves the camera around so that it shows the two beds in the room. The single bed – probably Kev’s – is unoccupied while two people – presumably Colin and Ben – are sleeping in the queen sized bed. “Ben sleeping naked”, Kev whispers as he walks closer to his sleeping buddies. Colin is lying on his side, his face not visible, while Ben is lying on his back, the blanket covering his legs and his crotch. His chest naked as he is lying – conviently – spread-eagled on the bed, a peaceful expression his face that I was pretty sure would be gone in a few moments. The camera zooms in on Ben’s crotch. The flimsy blanket leaves nothing to the imagination: Ben’s ample endowment is clearly visible – as is an impressive erection, protruding above. Anyway, they were away for five days and yesterday Kev phoned to tell me they had brought Colin’s video camera and shot some footage that could be of interest for our website. Apparently they are goint to edit it into five short films, one for each day of their vacation. Today Kev mailed me the first video. I will tell you about the next installments as soon as I get them from Kev. On a black screen the headline SPRING BREAK 2008 - DAY 1 appears. Then the camera shows Kev looking into the camera. “Hi there”, he grins, we’ve just arrived here. This is the room that I’m gonna share with Ben and Colin.” The camera pans around, showing a standard hotel room with a two beds, one queen sized, one single. There are some cheap paintings on the white walls and the floor has a wall-to-wall carpet of some indistinct colour, probably beige or brown, definitely pretty ugly. There’s a flip-chart at one side of the room and the camera zooms in on it. “We’ve already set up shop”, Kev says. On the flip-chart there are ten columns with names on top, Kev’s and Colin’s are among them. Below are some lines. The screen goes black and the words NUTS ABOUT BEN appear. Then it’s back to Kev again. In the poll about your favourite type of ballbusting more than 25% (as of today) have chosen "Something completely different" (i.e. different than kicking, kneeing, slapping, squeezing, punching, biting or objects). Please comment on this post and tell me what you mean. Chad and I arrived at the practice at quarter to ten p.m. A friend of mine had lent us his rooms as a location for our little series of “Sammy the ball doctor”. Chad had brought the gynaecological chair and we placed it in the middle of the room. The walls and the furniture were white and there were framed art prints on the walls – everything looked perfect. Our protagonist, cute redhead Sammy, arrived a few minutes later and we gave him the white lab coat. He put it on and while he didn’t look very doctor-like – at 18 years he was far too young for that – he looked positively hot in it with a stethoscope around his neck and a determined look on his face. He watched himself in the mirror and was beaming with joy. Chad grabbed his camera and filmed Sammy smiling, Sammy frowning, Sammy grabbing and squeezing his bulge, Sammy turning around to face the camera and so on. “Get your junk out”, Chad said after a few minutes. A few days ago we were at the skate park watching Leo, Tristan and his skater buddies crunch their nuts in various ways. One of the skaters was Sammy, an 18 year old redhead, freckles all over his face, with an impish grin and obvious delight in getting his hands on his mates’ nuts. He had – half jokingly – suggested to star in a little series as “Sammy the ball doctor”. Chad and I had talked about it and we thought it might be a nice addiction to our website. Sammy had given me his phone number so I called him today. “Absolutely. We thought we’d have a different guest patient in every episode and you’ll… well… ‘cure’ them…” I explained. Now I dialled Danny’s number and told him about the project. He was reluctant at first. But his attitude changed after I had told him that his acting skills were called for. I suppressed the urge to tell him that his nuts were going to play the starring role and his acting was just a nice addition. 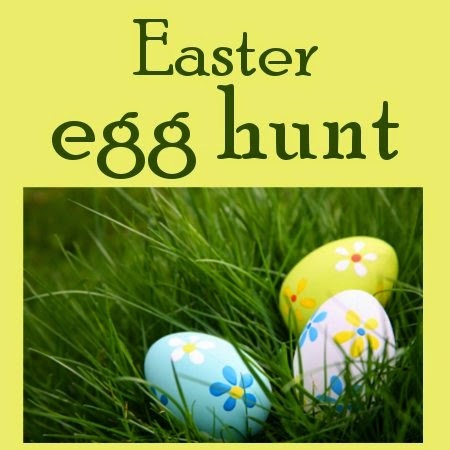 We have decided to have a little party on Easter Day, you know, play a few games, have an Easter egg hunt, things like that. I have called our models to see who is available. Unfortunately the jocks, Kev, Ben and Colin, are away because apparently Easter Day is the last day of Spring Break. Jesid had to cancel because he is visiting his parents in Mexico for the weekend. The twins are unavailable, too, and Danny’s brother David is busy playing Tchaikovsky’s “The nutcracker”. When my cameraman Chad and I came to the skate park, we immediately saw two familiar faces: skinny black-haired Leo and his blond friend Tristan were sitting on a bench inside a small, weather-beaten pavilion, that consisted mainly of said bench and a roof. Both of them were wearing their usual outfits, sagging jeans with the waistband of their boxers showing above, t-shirts and sneakers. Tristan once again displayed great taste in t-shirt fashion: I had seen his cartoon ballbusting shirt the last time we had met, now the front of his shirt featured a stylized, drawn nutcracker with two walnuts next to it, one cracked in half. The caption read “skate – don’t think about tomorrow”. I grinned. We walked over the skate park toward the pavilion, passing a big half-pipe, a few stairs and handrails, some ramps and an area with a wild lunar landscape created out of concrete. There wasn’t much action going on, two BMX riders working their magic on the stairs, and a group of skaters lying lazy in the sun in the middle of the moonscape. “Hi”, Leo grinned when we reached the pavilion. After some small talk – “nice weather” – “nice skate park” – “nice t-shirt” – we put down the camera and tripod on one side of the pavilion and sat down. “Where’s the rest of the gang?” I asked. “They will be here any minute”, Tristan said. One week after our last meeting, the Ballbusting Olympics Committee (BOC) had arranged another date to talk about the plans for the upcoming Ballbusting Olympics. I was very busy so I had talked to Kev and asked him to come to the studio with his buddies Colin and Ben so that I didn’t have to drive to the guys’ dorm. They were on time and I offered them a cup of coffee. “Don’t you have a beer?” Colin asked. “Erm, it’s three o’clock in the afternoon”, I said slowly. Ben and Colin followed Kev across the room. They were all wearing jeans, sneakers and t-shirts with various artwork on the front. Kev’s t-shirt showed the logo of his college. Ben was wearing a green t-shirt with some snack maker’s logo on it. I remembered seeing it in the background of one of the pictures on the guys’ website. It had been the sponsor of their nutball competition. Colin’s t-shirt had the Jackass skull and crutches on it. It was exactly the same shirt Tristan had worn when he had been here for Jesid’s casting. Jackass seemed to be pretty popular around here. “Look at that”, Kev said and pointed to the bench. He took off his t-shirt, exposing his smoth and tanned chest and abs, and grinned at Ben and Colin. He flexed the muscles and winked at them. I saw both of them rolling their eyes at Kev’s antics. Kev lay down and grabbed the barbell. He easily lifted it up. We are planning to invite a guest star to our studios. With Danny being an actor - though neither a very successful nor a very good one... - we are pretty sure we can get a celebrity to star in one of our videos. But we need your suggestions: Who do you want to see as Special Guest Star? When I came to the office today I was still sore from the two nutkicks I had received from Danny’s younger brother David. The cute but arrogant 19 year old dancer had had a field day kicking Danny’s and my nuts yesterday. Danny had taken the brunt of the kicks, as he had been nearly knocked out by his brother’s cheerful – and harmful – antics. But David had made a point of humiliating me after kicking my poor balls in, making fun of my allegedly far too sensitive testicles. Before David had left he had told me that he hadn’t acted just of his own accord (he certainly enjoyed it, though) but that my cameraman Chad had asked him to do sack me to get back at me for a minor incident a few weeks ago. 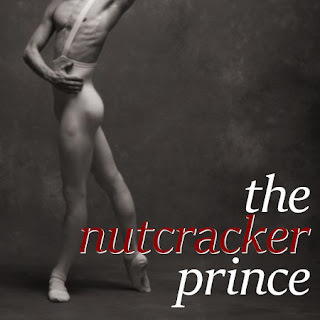 I surely didn’t want to let the matter rest so after David had left to star in Tchaikovsky’s “The nutcracker” I had talked to Danny and convinced him to help me. So today I was at the office early. I knew Chad would come at around ten o’clock. I had asked Danny to come at 9.30 so we could overpower Chad together. Chad is 30 years old – looking younger and quite handsome with his attractive face three-day stubble – and he is quite athletic. He has placed a weight bench in our studio for god know what reason (I don’t think it belongs into this place, but nevermind), and he works out a lot, usually at the gym around the corner, sometimes, very rarely, at the weight bench in our studio. Anyway, I figured that I wouldn’t be able to stand a chance against him, so I asked Danny to help me. Today Tristan came by the studio. He is one of Leo’s skater buddies, a very good looking young guy with dusty blond hair. He was wearing baggy jeans with plaid boxer shorts underneath and a wide black t-shirt with some interesting artwork on the front: It showed the colourful cartoonish drawing of a skaterboy getting sacked on a railing. His eyes were bulging out and his exaggeratedly big bulge that had his privates graphically defined through the fabric was visibly crunched on the steel railing. The were even little cartoon damage lines radiating from the guy’s crotch and two small bright red bubbles with jagged edges that read “CRUNCH” and “THWACK”. The text above the drawing was “NO RISK NO FUN” and the text below read “BE A MAN”. I offered him a coke and we sat down on the couch. “It was really fun hanging out with you on Oscar Night”, he said. “Yeah, it was a night full of suspense and surprises”, I grinned. “Well, thanks to you. You were a great help!” I grinned. I shot him a disbelieving glance. “That’s good”, I said slowly. “What about the 14th?” Tristan suggested. “Oh, let me see, I think we’re gonna be five guys including Leo and me”, Tristan said. “Well, I don’t know, perhaps we’ll just show you a few of our moves. There are always a few nuts that get cracked when we’re skating”, Tristan grinned. “And it’s worth it, believe me, I’ve seen a few of the guys’ equipments – maybe they don’t come close to that Mexican in size. But they have tough nuts, just like me.” He grabbed his crotch and smiled. New poll: What's your favourite? There is a new poll on the right. We’d like to know what your favourite type of busting is. Is it kicking, kneeing, slapping, squeezing, punching, biting, objects, or something completely different? We’ll try and use the results to improve the stories. So please let us know what you think. We asked you to vote in a poll about the general direction of this blog. Now the results are in. 168 people voted in the poll. Should this site stay male/male only? After almost 3 months we decided it was time for a new look. What do you say? Do you like it? Or do you want the old one back?